NATO officials say Russia has increased its naval patrols in the Baltic Sea, the north Atlantic and the Arctic. WASHINGTON — The United States Navy is re-establishing its Second Fleet, responsible for the northern Atlantic Ocean, nearly seven years after it was disbanded as the Pentagon puts countering Russia at the heart of its military strategy. “Our National Defense Strategy makes clear that we’re back in an era of great power competition as the security environment continues to grow more challenging and complex,” Chief of U.S. Naval Operations Admiral John Richardson said on Friday. 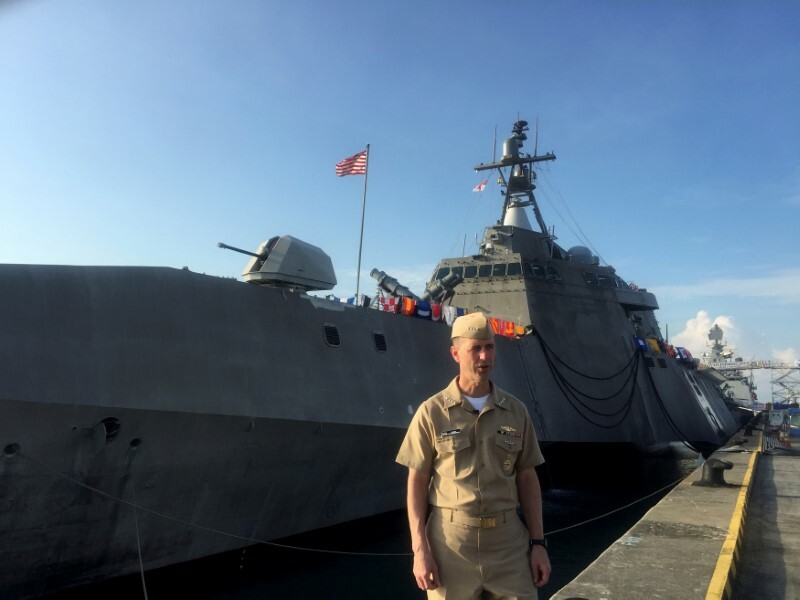 “Second Fleet will exercise operational and administrative authorities over assigned ships, aircraft and landing forces on the East Coast and northern Atlantic Ocean,” Richardson said. A U.S. Navy official, speaking on the condition of anonymity, said a number of decisions, like who would command Second Fleet and what assets it would include, had not yet been made and it was unclear when the fleet would be operational. In 2011, the fleet was disbanded for cost-saving and organizational structure reasons. Since then, however, Russia has become more assertive, flexing its military muscles in conflicts like those in Ukraine and Syria and tensions between Moscow and Washington have increased. Earlier this year, the U.S. military said in a new national defense strategy that countering Russia, along with China, would be a priority, the latest sign of shifting priorities after more than a decade and a half of focusing on the fight against Islamist militants. Russia has increased its naval patrols in the Baltic Sea, the north Atlantic and the Arctic, NATO officials say, although the size of its navy is smaller now than during the Cold War era. Since taking office last year, President Donald Trump has tried to build stronger ties with Russian President Vladimir Putin. But relations have instead soured over allegations of Russian meddling in the 2016 U.S. presidential election, Russia’s alleged poisoning of a former double agent in Britain and Putin’s support of Syrian President Bashar al-Assad’s government in Syria. The Pentagon also announced on Friday that it was offering to host a proposed NATO Joint Force Command at its naval facilities in Norfolk, Virginia. It was one of two proposed new NATO commands aimed at deterring Russia that the United States and Germany had offered to host. Next articleA US-led naval Arctic security program is excluding Russia. That’s a big mistake.